The human rights situation in Balochistan, which covers parts of Iran, Pakistan, and Afghanistan, is drastically deteriorating with little attention from the international community. The side-event was therefore aimed at fostering a better understanding the sources and consequences of human rights abuses in Balochistan and at providing a platform for dialogue to discuss global and regional challenges in the area. The first panel analysed the history of the region, the Baloch struggle for freedom, dignity and human rights. Speakers highlighted the cruel practices committed by Pakistan’s paramilitary troops, including enforced disappearances, torture and extrajudicial killings, which are met with impunity, further silencing the Baloch population. As the region is considered one of the most perilous places in the world and is often described as a ‘black hole’ and ‘no-go area’ for journalists, the question of press freedom and international access was also discussed. The second panel outlined the national and regional challenges in shaping Balochistan’s security. The outcome of the debate was the acknowledgement that the world has become increasingly tolerant to limitations of various freedoms for minority populations in the name of ‘terrorism prevention’, particularly in areas of geostrategic importance. The 2014 Pakistan Protection Act and various constitutional amendments raise concerns about the potential increase in violations of the rule of law and democratic principles in the region. In order to find sustainable and peaceful solutions for Balochistan, more consistency and courage are urgently needed to establish real accountability, transparency and justice. This must be established at the local, national, regional, as well as international level. 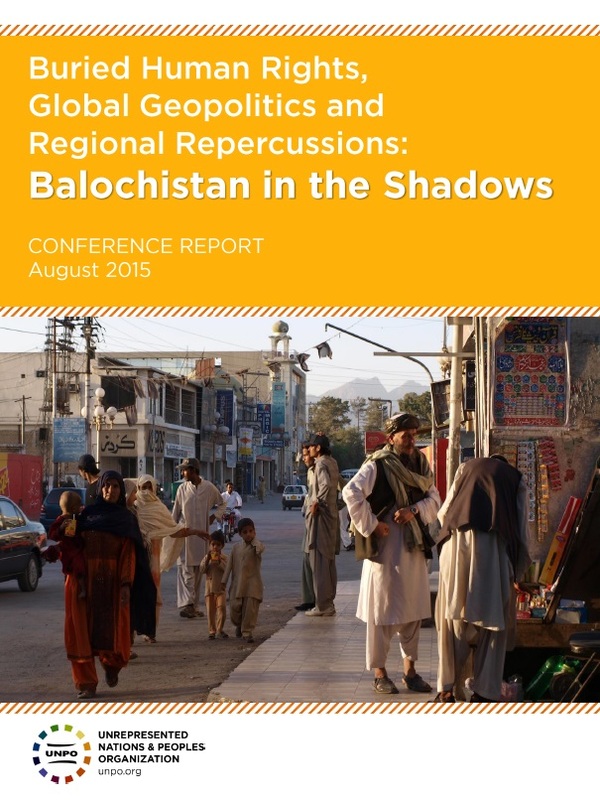 UNPO will remain actively committed to ending the enduring silence in Balochistan. Reliable information should be accessible and the international community should be more active in ensuring that investigations into human rights abuses perpetrated in Balochistan are conducted and that those responsible are also held accountable. UNPO will therefore play an active role in raising awareness about the unknown and unreported violations, while also stimulating the international community to get proactive.